Miss Print: Who What?! Another Giveaway?! This is a fantastic giveaway! I love the Prince Charming line, but my new favorite is Anna Maria Horner's Loulouthi. I lived in Greece for awhile, so all the greek inspired floral prints are perfect for me. Have retweeted about the giveaway. I'm aprairiesunrise. Thanks for the chance at such a fabulous giveaway. ooo, awesome giveaway kaye! this is such a pretty bundle, love the colours! you are right, the "turtula" prints is so interesting! i think my favourite scene in it is the girl sitting on the swing with her hair blowing in the wind. as for my favourite collection at the moment, i'm absolutely in love with circa 1934, cannot wait for its release! I'm seriously crushing on Terrain - can't wait to get my hands on some!! And of course I follow you!! 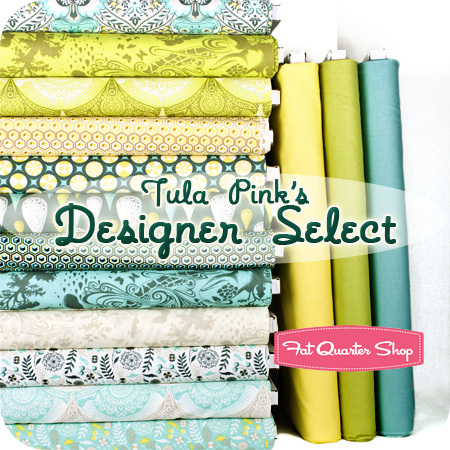 Love that Tula bundle but haven't met a fabric I didn't love. Thanks for hosting a giveaway. Am going to try your rhubarb syrup recipe. I like the summer animal party too! They are super cute! Oh my, well I'm in love with a lot of Coming Soon attractions at FQS (other than Prince Charming, of course), like Terrain and Ruby! Thank you for such an amazing giveaway! I love this Prince Charming bundle but I have not bought it yet!! Thanks for the awesome giveaway! 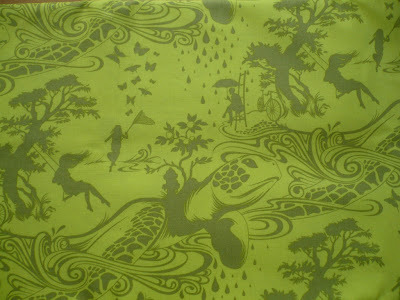 It is so hard to pick, but the fabric line I'm most excited about is Prince Charming! I love me some Tula Pink! I love this line it is my favorite I love tula pink thanks for the chance to win. I'm pining for Annie's Farm Stand at FQ. I'm really loving 1001 Peeps! Of course....I love Prince Charming too! Well, Prince Charming is my current favorite...... I would love to win it. Thanks for the chance! Im just gonna throw this out there... it is WAYYY too difficult to choose a favorite. Just sayin. Great giveaway! I kinda love prince charming...that's definitely close to my fav at the fq shop! how generous! i really love anna maria horner's loulouthi! Ooh! And I am a google reader follower! 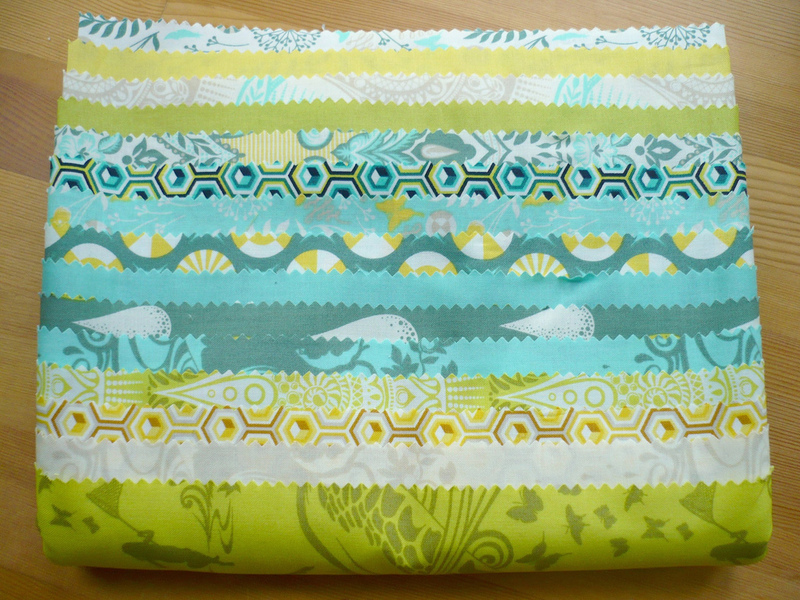 I like Kate Spain's new Terrain fabric line. I love Grace by 3 Sisters. Loulouthi is my favorite FQS collection! I love the Pimatex Basics Bounty of Basics Fat Quarter Box. All the bounty of basics boxes are great! I really like the One Crazy Christmas line...I am already working on Christmas projects. I really enjoy your blog...I'm just starting to get into reading them. Thank you. We have to pick just one? Gah! Loulouthi (because you can never go wrong with AMH) but Children at Play by Sarah Jane is adorable! Those rockets & Pinwheels!! OH MY! Prince Charming is so very pretty, as is Terrain and Aviary 2. I love all three of the Sarah Jane fabric lines coming soon. can't pass up this giveaway! I'm really looking forward to getting my hands on Loulouthi! This IS my favorite line currently out there (although I'm looking forward to 1001 Peeps too). Thank you for the great giveaway! And I am a new follower as well! I love Central Park by Kate Spain. 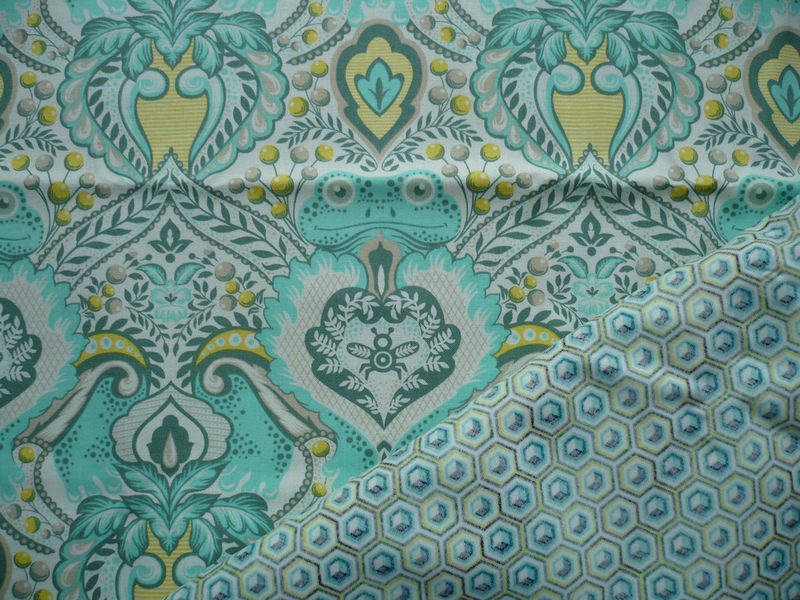 Love this fabric line and the colors are amazing! I am loving Terrain, by Kate Spain just now. I am a follower too! thanks again! My favorite line from the Fat Quarter Shop Coming Soon section is Etchings by Three Sisters. Either Children at Play or Terrain are my favorite in the coming soon section. My Favourite collection , thats a hard one. At the moment its in the coming soon, and its the Circa 1934 by Cosmo Cricket. For some reason this one really intrigues me, which is odd, as it's right away from my usual brights and saturated colour. In the Coming Soon I love Going Coastal. I'll have to say that of current collections, I think the one you are giving away is my favorite-it's fabulous with the solids. I'll have to say, I think the Prince Charming frog kind of reminds me of ET! I like Amelia by Me and My Sister. I can't wait to get it. My favorite is Coming Soon, but not soon enough for me... Terrain! What a fabulous giveaway! Tula is my fave at the moment! I'm absolutely addicted to that little frog and his bee!! Thanks for the chance! I am also a follower of your blog!! Thanks for the chance!! What fantastic giveaway! I love the colors in the Prince Charming fabrics!! And my favorite from the shop coming soon is Hometown by Sweetwater. I can't help it though Tula and the Solids are my fav. I really like Mark Cesarik's Calypso Swing! I follow you and man amd I glad becuase you Miss Print are super inspiring! I'm with everyone who said Loulouthi by Anna Maria Horner. Soo beautiful! Kind of digging some of the prints from Annie's Farm Stand :) Thanks for the chance! I love Prince Charming! Am so tempted to buy this collection... would love to win it! Thanks for offering the chance! Hey Kaye, I love the energy in this here post! 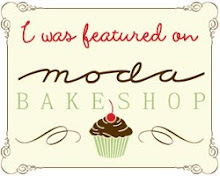 Thanks for such an awesome giveaway:) I'm still eagerly awaiting Circa 1934's grand unveiling at the Fat Quarter Shop! My favorite is Prince Charming, of course! But from coming soon, I'd say Baby Safari. It's not a collection per se, but I'm in LOVE with the Poseidon bundle of kona fqs. Terrain is the collection I've got my eye on, though the Tula Pink frog print is leading me to the click button on the Prince Charming collection. Oh man, you have got me drooling! I love Prince Charming, of course, and I cant wait for Patty Youngs Grand Bazaar! And I am a faithful follower! Thanks for such a great giveaway! Good luck everyone! What a gorgeous prize! I am coveting loulouthi and the prince charming at FQS at the moment! Ooh, beautiful! What a refreshing colour palette—it has been unbearably hot in my corner of southern Ontario for the last few days, and I am grateful for cool blue-teal-green to remind me of what's good about summer. My favourite fabric changes about once a week, but right now it is the spring Kaffe Fasset collection. I love even his wilder designs, but all the ones in this collection are relatively subdued and just seem so usable and versatile to me. And, I'm a new follower! Hello! It's nice to meet you! I like Deck the Halls by Heather Mulder Peterson. I am very excitedly waiting to get Bonnie and Camilles's Ruby. It's so pretty. I love the Fat Quarter Shop, they have wonderful service and fabrics! Eek! I love me some Prince Charming! It would be my current favorite that Kimberly carries, I can't get enough of that little froggy! lots of great stuff coming soon but I'm dreaming of Heather Ross' new far far away 3! oh yeh. I can't wait for Terrain! I am so glad you suggested looking through to see what my fav fabric collection would be. I didn't know about Francesca by Anna Griffin. It is beautiful! 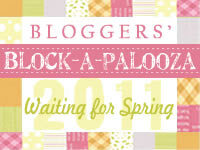 I am a follower, love your blog, I visit everyday!! Actually, Prince Charming IS one of my favorite FQS lines! Tied with Kate Spain's Terrain. I've been looking forward to both lines. Thanks! I've been following you in my Google Reader for a while, but I made it official! I love the Prince Charming line. My favorite current bundle is Prince Charming and my favorite coming soon is Ruby! just tweeted. i'm "rlovies". thanks for the chance! My favorite Fat Quarter Shop collection is a 3 way tie between Prince Charming, Loulouthi and Terrain. I'm a follower! thanks for the opportunity. Love the flour sack collection! That Sew to Swap book looks pretty cool! It is so so hard to choose! My favorite at this very second is the Little Apples by Aneela Hoey but I have several that are my favorite! I just had to pluck one from the many I love. Anything by Tula Pink! Of Course! Also Michael Miller's Pindots caught my eye - love a good dot! That little frog is so cute! My favorite collection is the Beach Mod Circa 60 organic line! I love the colors in this line and all the little hidden treasures. I've had my eye on Chelsea . . . can't wait until it's out! Thanks for the chance. I'm loving LouLouthi (if I have to choose a different collection from Tula's!). And you know I'm following along! Ok, I've been on twitter for all of 7 hours, but I'll try and tweet this...just not sure about the link back thing....here I go. I love the Joel Dewberry "Heirloom" line, coming soon! Prince charming is one of my favourite actually ... and I wait for "happy mochi yumyum " by monica Solorio-snow !! 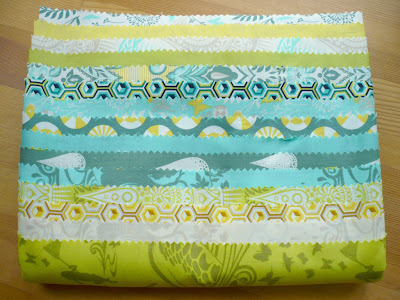 Love the colors in Julie Herman's fat quarter bundle available in July. Gray and orange just hits the spot for me right now. Thanks for the chance to win such a great giveaway. I am a follower! Can't wait to win. Prince Charming, or Lou Lou Thi. I love them both. Wonderful, wonderful giveaway - thank you for the opportunity. Love the Alexander Henry Holiday Hoot. And I'm looking forward to Terrain! Oh, I am looking forward to the Aqua Red bundle to come. Just love this! Thanks so much for this give away! Thanks for a second chance being a follower of your blog! hi!I discover your blog few days ago.I'm Italian,I began to sew only 3months ago.and...oh,I hope I'll made some beautiful works like yours,in future. and I also visited Fat Quarter Shop...a lot of nice fabrics.I like Summersault and Fresh Flower! I am so in love with the whole prince charming collection. I have already drawn 2 designs to use it with :) Please choose me!!!!!!!!! I am super excited about the prince charming line (some of the prints are actually already on their way to me) but I am most looking forward to little apples. Just too cute! I see a gulping toad..oops I mean Prints, err Prince Charming of course...heheh. I love so many things at FQS. Among my favorites: Appleville and Bon Vivant. 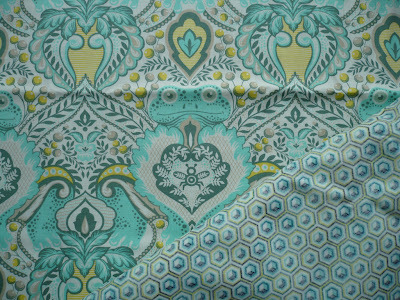 Always browsing the Fat Quarter Shop site to drool over gorgeous fabrics! Very taken with 'Kumari Garden' at the moment and also working on the 'Love' home decor fabric too. Great give-away! I love the Bliss line.